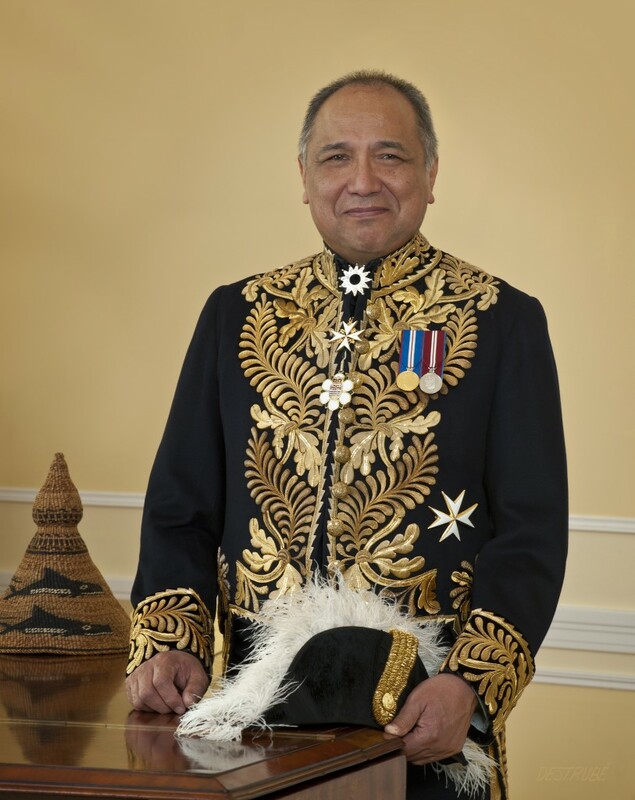 The Honourable Steven L. Point (Xwĕ lī qwĕl tĕl) was sworn-in as British Columbia’s 28th Lieutenant Governor on October 1, 2007. In 2005, he was appointed Chief Commissioner of the British Columbia Treaty Commission. 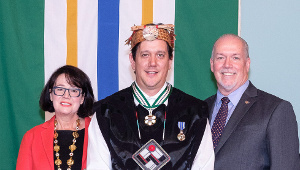 He has also served as an elected Chief of Skowkale First Nation for 15 years, as the tribal chair of the Stó:lō Nation, and honoured as Grand Chief by the Chiefs of Stó:lō Tribal Council. Mr. Point was appointed a provincial court judge in February 1999, most recently sitting in Provincial Courtin Abbotsford. 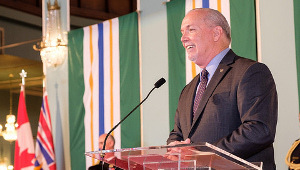 He received an Honorary Doctorate of Law degree from the University College of the Fraser Valley in June 2000 and is a recipient of a National Aboriginal Achievement Award, also in 2000. He received a Bachelor of Laws degree from the University of British Columbia in 1985 and was called to the Bar in British Columbia in 1986. 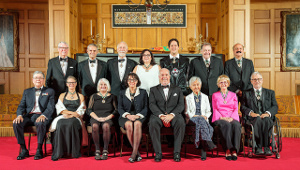 Born in Chilliwack, Steven and his wife Gwendolyn have four children and 11 grandchildren.